I have to admit, making a list of 10 new things to try in 2011 was one of the best things I've done for myself in a long time! Setting that list of goals has given me both motivation and accountability to do things that I've been wanting to do. From simple things like making homemade granola to something a little more intimidating like making homemade jelly, I'm feling like I'm experiencing the “little things” that really round out my life! One thing that I've felt the need to do since I started being a stay-at-home-mom is using a daily planner. After taking a few months to let Haiden, Piper and I all adjust to our new setup, I felt like I was spending most days flying by the seat of my pants. Don't get me wrong, I love the freedom and flexibility that comes with spending my days at home with my little ones, but it also felt like the hours of the day slipped away from us. Four or five in the afternoon would roll around and I'd have no idea where the time went and why I didn't feel like I had accomplished anything during the day! In a truly serendipitous turn of events, the rep for Erin Condren emailed me just days after I started lusting after I Heart Organizing's daily planner. 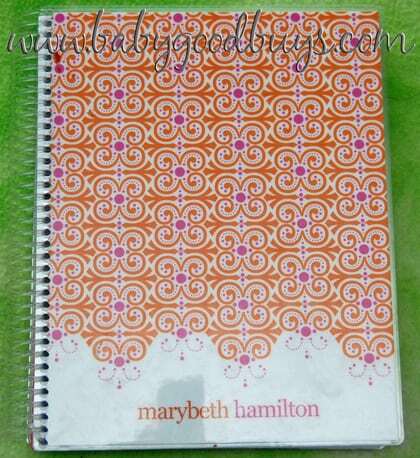 I was incredibly motived by the way Jennifer was using her daily planner, and I was thrilled to receive a personalized Erin Condren 2011 Life Planner of my very own! To-Do lists: In the past, I'd grab a random notebook or the back of an envelope and scribble a quick to-do list if I felt motivated to get several things done in a day. Later, I couldn't remember where I put the list, and forget about finding it a few days later! Now I have a central place to write out what I want to get done in a day. Track appointments: Our family of four has to balance a variety of appointments along with my husband's varying work schedule. The monthly and weekly views make it easy to see what's coming up on our calendar and plan our week accordingly. Track blogging commitments: I'm 100% committed to bringing all of you the best baby deals every day. Of course, life can get in the way, but I want to be sure I work in at least a few blog posts each day to keep everyone abreast of the best bargains. In addition, I work with brands to bring readers relevant information. My daily planner helps me stay on top of it all. Remember birthdays and special occasions: I'm very good about remembering birthdays, but if I don't call the minute I remember a birhtday, it slips away from me. Seeing a birthday on my open planner page keeps me aware that I need to make a phone call at some point during that day! I'm not nearly at the place Jen from I Heart Organizing is with what appears to be total mastery over her life with her planner, but I'd like to think I'm about 20% of the way there! 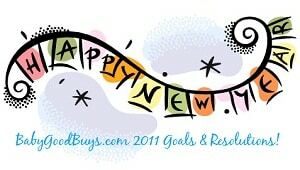 Working on our daily routine is another goal for 2011, so I'll be blogging about that soon enough! There are so many other benefits to this planner, but I think that the best thing is that it's absolutely gorgeous inside and out! I love carrying it around and I have no problem showing it off! Erin Condren's 2011 planners are currently 35% off, and you'll receive an extra 10% off anything at ErinCondren.com when you use promo code 2011OFF. I was provided with an Erin Condren 2011 Life Planner. It was a pure coincidence that using a planner appeared on my Things to Try in 2011 list! 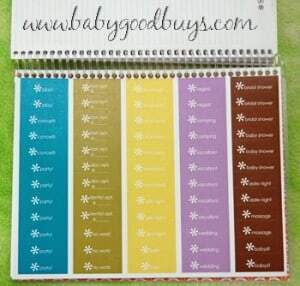 This is a great planner, I LOVE planners, I find that when I use them they really help me!